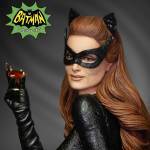 Due to popular request from their fans, Tweeterhead is re-releasing their Batman Classic TV Series – Julie Newmar Catwoman Statue. To separate it from the original 2015 release, Tweeterhead is making this a variant statue. They are replacing the diamond in her hand with a ruby. 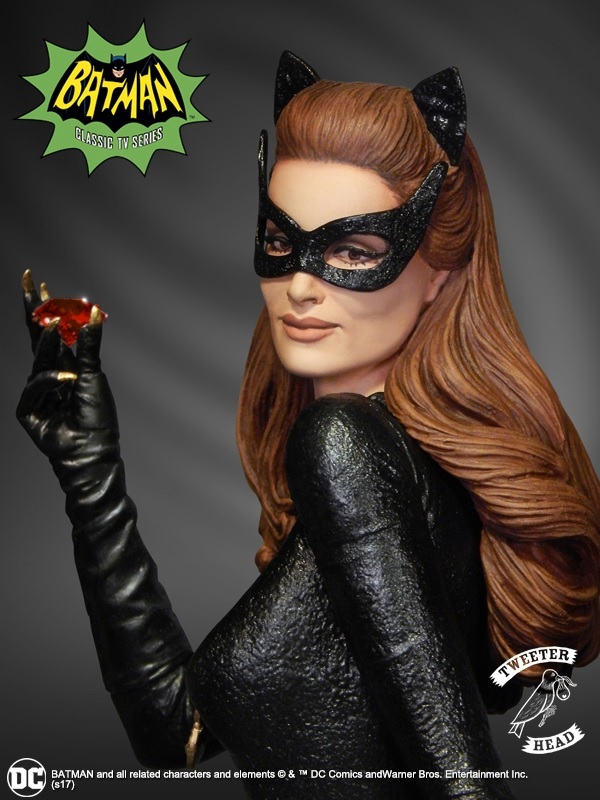 The Catwoman “Ruby Edition” 1/6 Scale Maquette stands at 12″ tall. 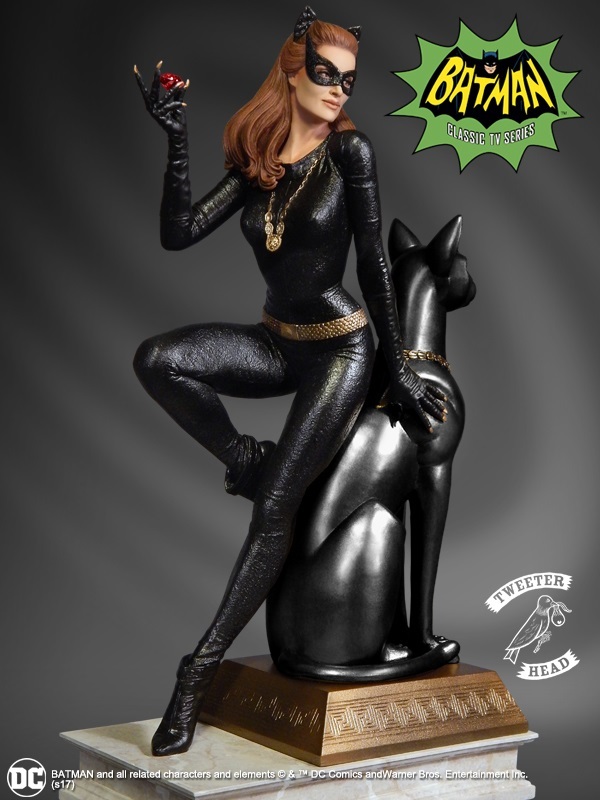 Each statue will include a certificate of authenticity autographed by Catwoman actress Julie Newmar. This limited production statue can be pre-ordered by Clicking Here. It’s priced at $274.99. See the new photos after the jump. I'm sorry all respect to Kitt, Pfeiffer, and Hathaway, but Julie Newmar was the consummate Catwoman. Classy.